All my life it was clear what the next steps should be. Now I don’t have a clue. I want more high-profile projects and my voice to be heard when I’m sitting there in meetings. I want things to be different. It would be great to feel excited about my future, but I just feel tired thinking about it! You are not alone. By a long shot. No big news here: IT is a male-dominated field — with more unique challenges than the human genome project has lines of code (supposedly 3.3 billion). 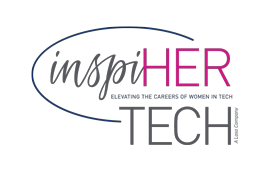 We talk to a lot of women in IT who want to feel aligned with their career AND life purpose. This is easier than you think. In fact, the answers are inside you. Imagine feeling clear and confident you are on the right career path. Or being excited about jumping out of bed in the morning to slay the day. Or kicking back on Friday night thinking what a great week it was and that you are exactly in the right place. We’re not suggesting you change the world. Leave that to the beauty pageants. We’re saying recreate the world you live in — and the future you choose to make. Feel excited about your future! Failure is not an option. A career strategist holds you 100% accountable. Identify career goals through self-assessments and a deep dive into your personal brand, current job likes/dislikes, and life goals. Map out a career strategy that aligns with the future you want to create. Create tools to set you on your career path. Set benchmarks, gather feedback and press go on your future. Couldn’t I just . . .
Coast and see how it goes? Sure, but every day lost to being in a career you are not aligned with is a day lost. We’re going to show you the straight line between what you want in life and your career. Read books or watch YouTube videos on finding my career purpose? Absolutely. There are lots of good resources out there (we’ve read and seen most of them!). But a book or video or podcast can’t hold you by the hand and guide you toward success. That’s our mission at InspiHER Tech. We’re here to see you nail your goals and reach your career destination. Ask my best friend to keep me accountable? We’re all about running buddies, goal buddies, writing buddies and accountability buddies. If that’s the road you take, we support you 100%. Here’s the thing, you’ve waited this long to align your career mission with your core desires, wouldn’t it be great to get expert advice right now? 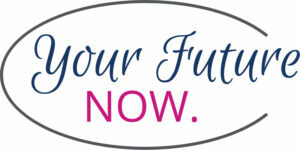 Your future is waiting (and who wants to put her off another moment? ).